I’ve been absent from the racing scene for more than two years. Since my ITBS injury in March 2011, attempts at a comeback were foiled by one injury (not necessarily running-related) after another, not to mention occassional bouts with the flu. To be sure, this is not to say that I did not sign up for anything at all in those two years. There was the 2011 QCIM in December, during which I went on pacer duty for the missus for her 1st half-marathon. My longest runs being only the two 10k’s that I ran the week before the race, I was able to keep up with her for the first 15k only. I clocked in at 2:16:32, about 6 minutes slower than my better half. 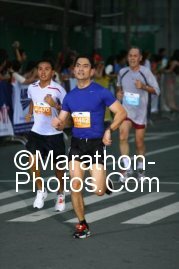 In fact, this race gave me my first taste of leg cramps since my highschool basketball days. In March 2012, I was requested (read: forced) to join this 5k fun run at UP Diliman that was sponsored by UP WILOCI. A retired partner of ours is a member and she wouldn’t take no for an answer. The course was short by 110m, which allowed me to turn in a respectable time of 23:16. My time would have been a lot better had I not walked. But alas, the lack of racing experience practically transformed me into a running newbie – I started out too fast on the first 2km, with split times close to the 4:15 mark. Running alongside the good senator. The Adrenaline OD was supposed to serve as my springboard to regular training but, again, a few things got in the way – nasty bouts with the flu, work, relocation and the Christmas holidays. At least I was injury-free. In the latter part of January 2013, I was able to get myself to run thrice a week. It was then that I decided that I should sign up for a race and jump straightaway into a training program to keep myself motivated. 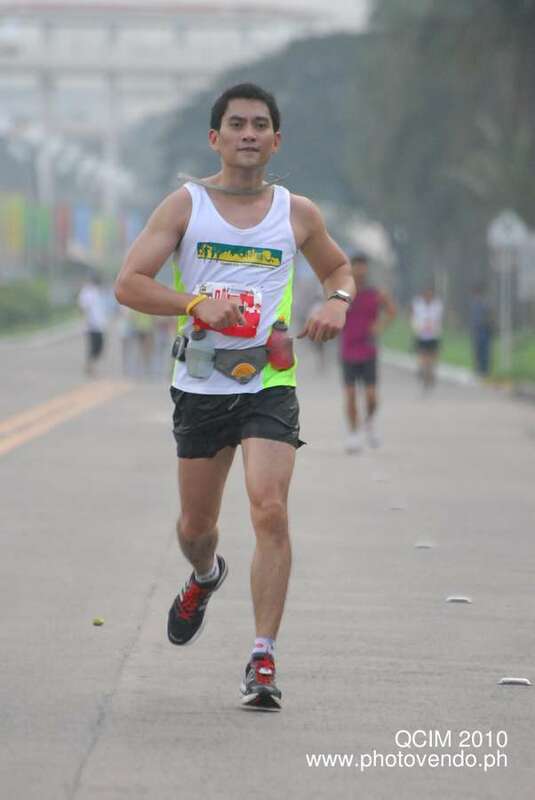 The Safeguard 2XU Half-Marathon scheduled on April 21, 2013 seemed to be the perfect comeback race. And so my 11-week program began just like that. The goal initially was to finally run a sub-1:50 half-marathon and banish my 21k demons. In fact, the SmartCoach 11-week program that I generated called for a 4:52mpk race pace. While I was able to nail a majority of my workouts, I wasn’t able to turn in decent long runs. In fact, the weekend before the race, my “long” run was only 11.62km. I really had no plans of running at 4:52mpk, but I figured that 5:00mpk should be doable. However, having failed to nail my long runs, I decided to play it safe and just target 5:12mpk, barely enough to get me that sub-1:50. 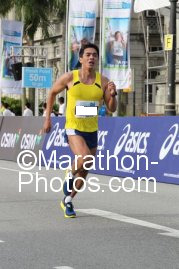 I was able to stick to my target race pace of 5:12mpk for the first half of the race. 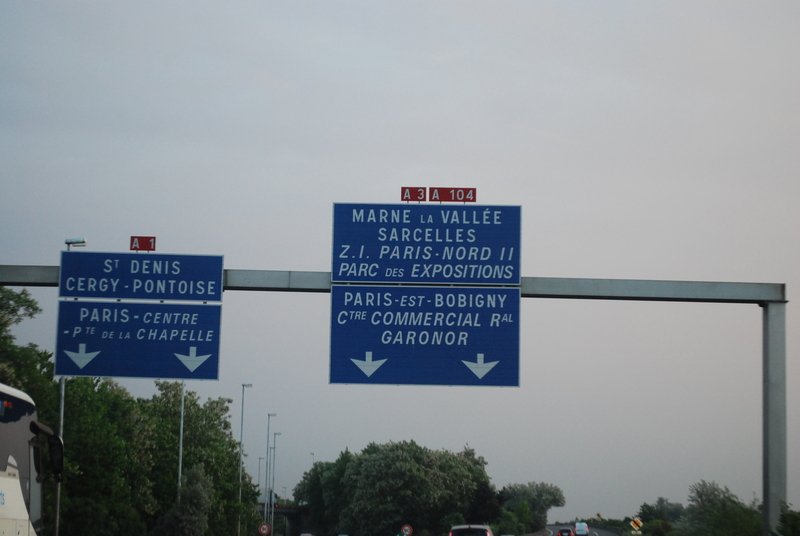 However, on kilometer 11, I saw that I was a minute behind. On kilometer 15, I was two minutes behind. It was at this point that I decided to take it easy as it dawned on me that a sub-1:50 was practically out of reach. I ended up finishing in 1:55:22 – officially, a new PR, but by no means my fastest 21.1km. Methinks it’s time to strike while the iron is hot. RU2 and KOTR, here I come. Running on fumes as I approached the finish line. The past two years were insignificant, not only running-wise. However, 2013 looks a lot more promising as new goals and challenges await. Exciting times indeed. Now I’m all fired up. It’s been a little over three months since that fateful night in BHS when my ITBS struck and dashed any hope of setting a HM PR at the Globe R4H. My injury could not have come at a worse time. I was already at the peak of my fitness, itching to make amends for my lackluster performances at the 2010 KOTR and 2010 QCIM. As fate would have it, it was not to be. I was dealt a bad card and I just had to roll with the punches. At the time, all I could do to cheer myself up (aside from switching my hydration of choice from Gatorade to SMB) was to see to it that I would come back much stronger. I realized, however, that returning to full fitness is easier said than done. After the mandatory 2-week leave from running, I tried to get in a few runs, only to find out that my ITBS was not completely healed. Hence, I could only turn in short runs, few and far between at that. Out of curiosity, I checked out my running log and I discovered that in the 12 weeks since my 2-week enforced leave from running, I averaged only 11km per week. In fact, I was lucky to get in two runs in one week. With my weekly mileage down the drain, it was but expected that my fitness would follow the same path. At present, I am registering T-pace heartrates even for short easy runs. However, I am very much hopeful that all this would soon change. I am now able to run without any pain in my ITB. Also, bowling season is over, thereby giving me a couple of nights more a week to hit the track. 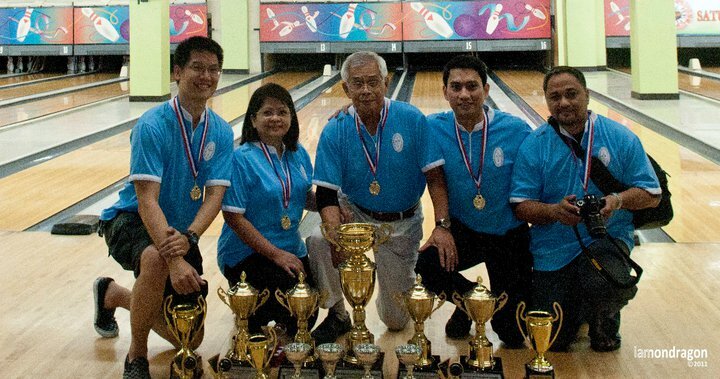 Did I mention that our firm bagged the 2011 Inter-Law Bowling Tournament? Don’t take my word for it. As trial lawyers would say, the best evidence would be the res, which in this case, was the champions’ trophy. Our trophy haul would prove this fact beyond any reasonable doubt. I have quite a few races in mind already but I won’t go back to regular training until and unless I am able to build a good mileage base. I reckon that I would need at least two months for that. In the meantime, I’ll just take it easy and thank my lucky stars that I am able to run pain-free again. Sometimes it’s so easy to take such simple joys for granted. Speaking of injuries, that’s another “regular” in my running cycle. In March to May 2010, I took a leave from running as I got hit by a spate of injuries – deltoid ligament problems, knee pain and shin splints. It was only in June of that year that I resumed my training. 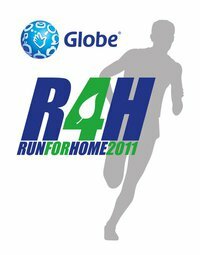 After several months of hard work, I thought that I would finally be rewarded with a sub-1:45 finish in the 21k of the Globe R4H scheduled on March 27, 2011. But it was not to be. Almost one year to the day I suffered my first running injury, I got hit by a bad case of ITBS. I had to do a DNS at Globe R4H and was relegated to photographer duty. I had to take another prolonged break from running. While I have been doing some light running of late, I know it would be foolhardy of me to jump into a training program straightaway. Aside from the fact that I am nowhere near my fitness level back in March, I need to make sure that my ITB is well on its way to recovery. In the last 15 days, I was only able to run thrice. My inability to come up with a string of runs is not due solely to injury. My running was limited by a combination of work, fun and play – just like what happened a year ago as intimated in My Past Two Weeks in Review. 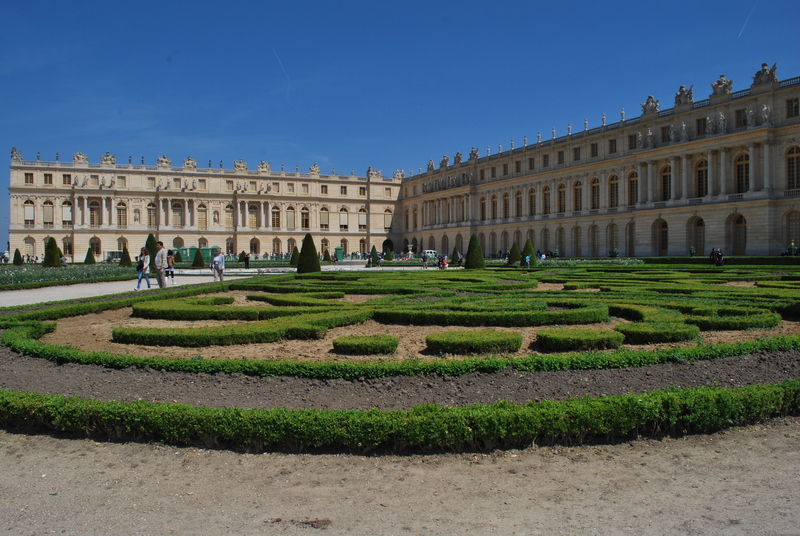 This uncanny cyle prompted me to write this post and to share with you, in images, what kept me preoccupied in the last couple of weeks. 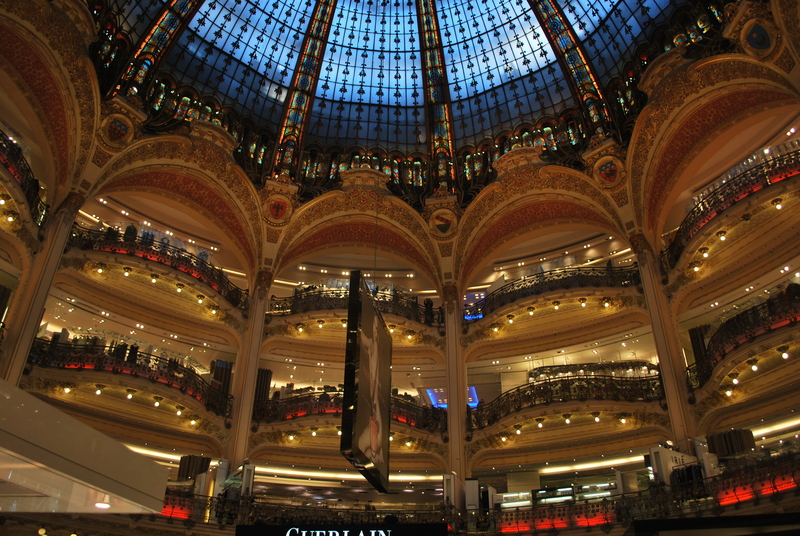 Who would have thought that this is a mall? Magnifique! 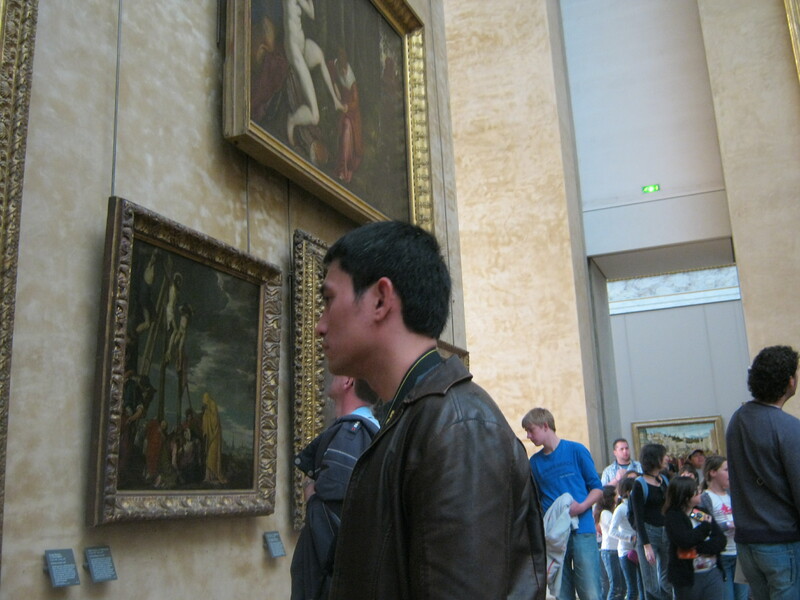 Checking out some paintings at the Louvre. 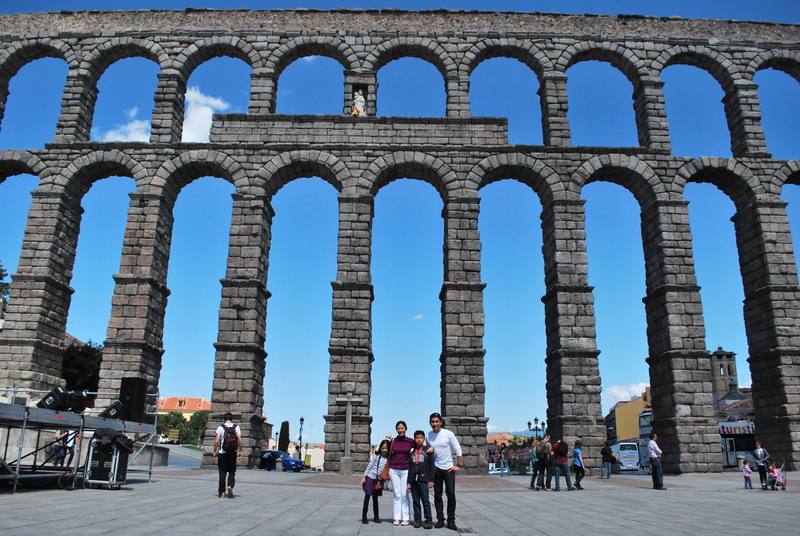 The aqueducts of Avila, simply amazing. 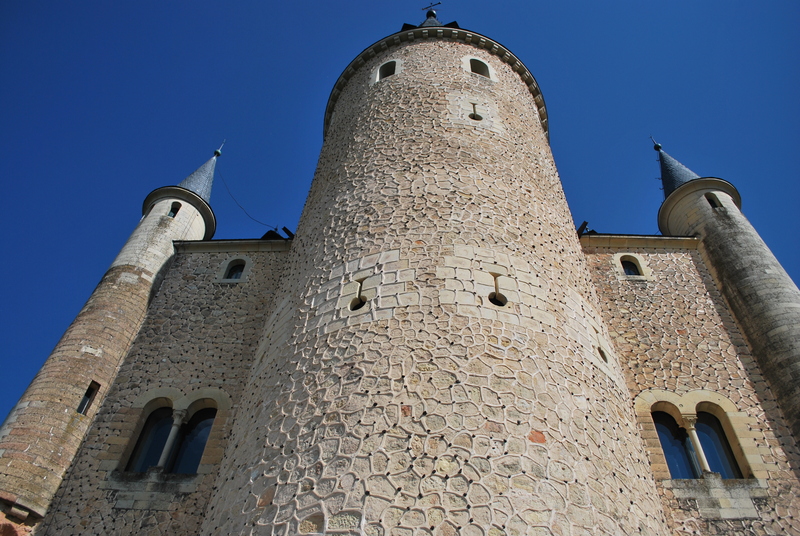 One of them castles. After a while, they all look alike. Of course, a visit to the Olympic Stadium was in order. Was so tempted to go down to the track. Hehe. At the Olympic Stadium in Barcelona beside a photo of Carl Lewis. I think all the walking that we did those 12 odd days could match my mileage during training. Seriously. 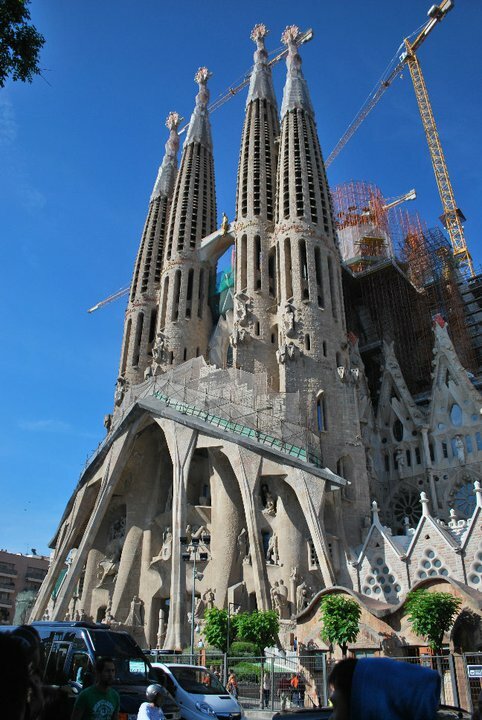 Nonetheless, I was compelled to do some serious running in Barcelona to make sure that my fitness does not go down the drain altogether. 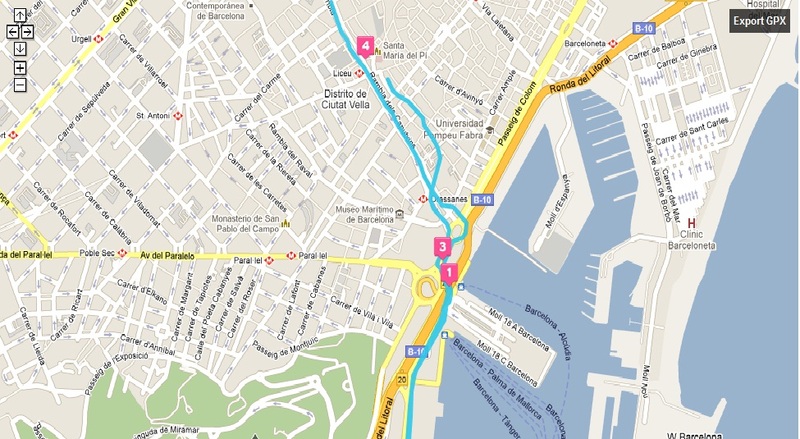 I ran a brisk 4.71km around La Rambla at 5:18 mpk. All in all, not a bad two weeks. Now back to reality and, hopefully, some serious running. Never underestimate form. Just ask any Supreme Court law clerk who would only be too willing to summarily deny a petition for failure to comply with formal requirements. I discovered recently that the confluence of form and substance is not unique to appellate pleadings; it plays an important part in running as well. When I was a kid in the early 80’s, I remember that my Dad and Kuya (who were part of the running boom three decades ago) were obsessed with the concept of pronation. Runners back then (and now for that matter) were so averse to the idea of overpronating such that it was often preached that one should make a conscious effort to strike the ground with the outer part of the foot first. I could still vividly recall how the outsoles of their Brooks running shoes looked like – worn out on the outer portion of the heel pad. (Heelstriking was still en vogue then) That obsession with proper pronation stuck with me through the years. Thus, I would always make it a point to strike the ground with the outer portion of my foot first. You don’t have to be eagle-eyed to notice that there is something terribly wrong with my right foot. However, I didn’t think too much about it as, back then, I was more obsessed with setting PRs. If I was getting faster, who cares about form right? My brah’s impeccable form as captured in the above photos made me feel worse about my own form. From then on, I resolved to do something about it. 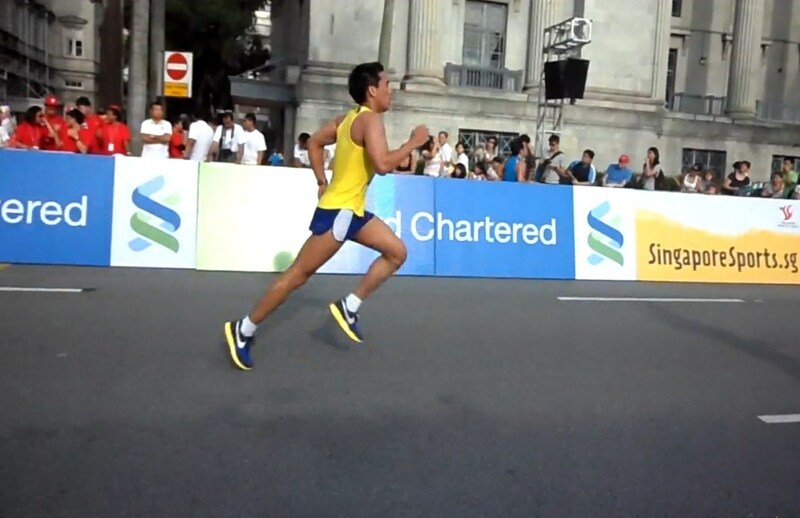 I analyzed my race photos and I thought that I should just make a conscious effort to make my toes point inward during my kicks. This way, I could get rid of that “crooked” look. In time, that became my natural gait. Then, disaster struck. 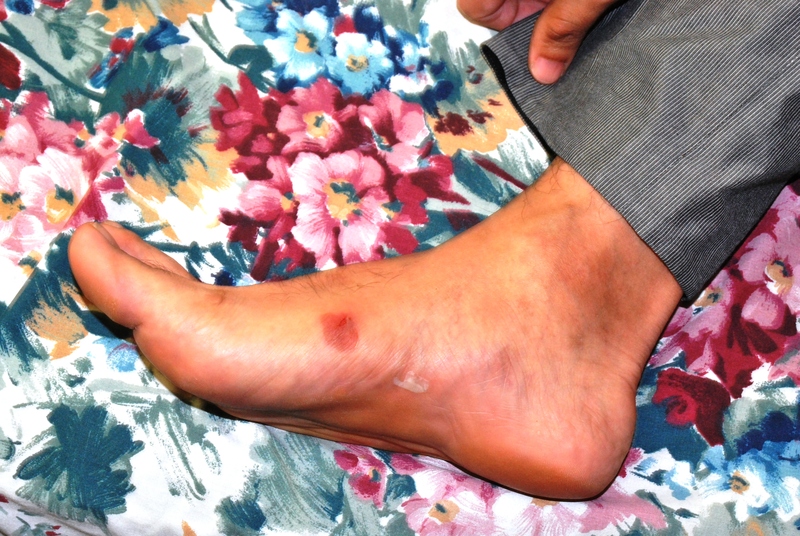 For the first time in my two-year running career, just when I was peaking in my HM training, I got afflicted with ITBS. I thought it was just a case of over-use, nothing that 2 weeks’ rest would not be able to fix. Thus, as the doctor ordered, I went on a short vacay from running. Two weeks to the day that I stopped running, I decided to test the old ITB by biking from Marikina to Antipolo. I also wanted to see if there was a significant drop in my fitness level. The timing was perfect. 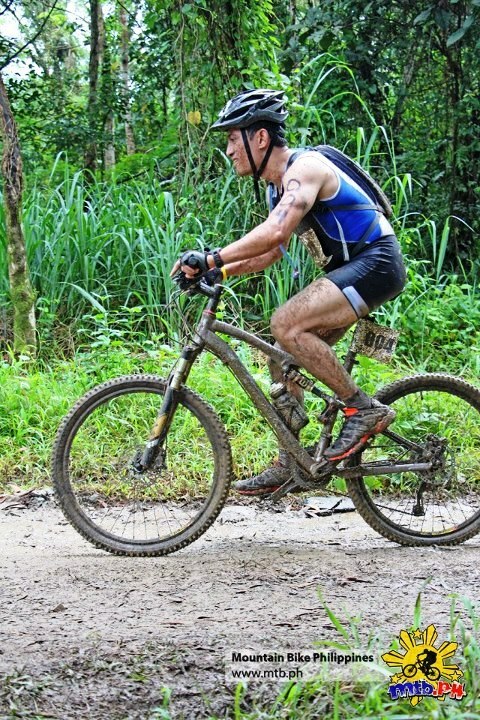 It was card-giving day at Assumption Antipolo and I thought it was an opportune time to get my rarely-used MTB covered with the right kind of dust. 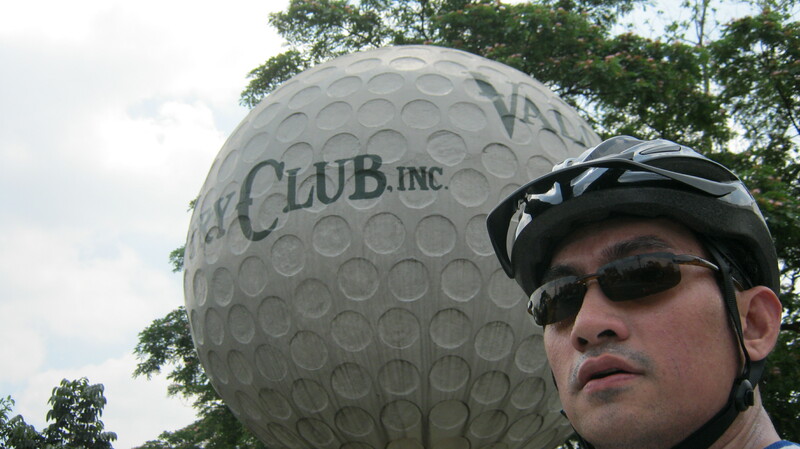 A must-have photo-op beside Valley's giant golf ball. I was happy with my bike ride to Antipolo as (a) my ITB didn’t act up; and (b) I was able to bike all the way up Sumulong Highway without getting a heart attack, indicating that my fitness had not totally regressed. 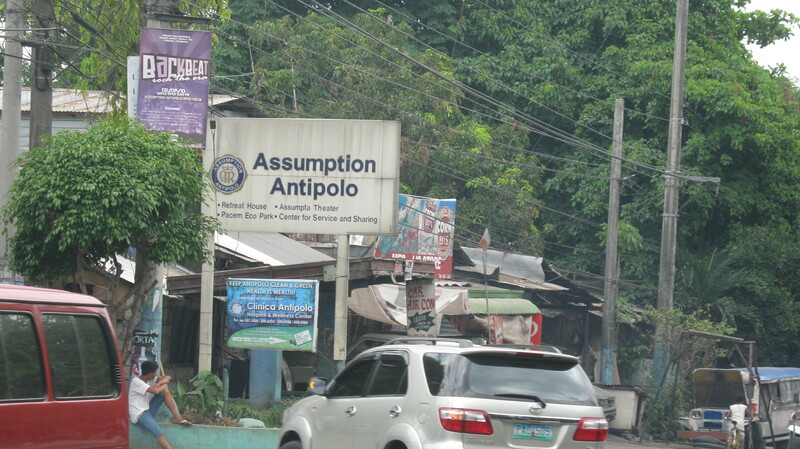 However, biking up to Antipolo is something that I don’t see myself doing again in the near future. If the speeding jeepneys, cars and trucks won’t kill me, the pollution will. Having determined that my ITB was on the road to recovery, I decided to run the following day, a Sunday. I did an easy 5k at the track at 5:43 mpk. It felt great to be running pain-free again. However, my euphoria was short-lived. The next day, my ITB hurt so badly that I couldn’t bend my right leg. I immediately took NSAIDS in the hopes of accelerating the healing process. I was so desperate that I even took salabat (ginger ale) in huge doses after every meal. One of these remedies must have worked as I was fit enough to run the following Thursday. I ran a brisk 6k (inclusive of 1.2k warm-up) at the track at 5:14 mpk. In that particular run, I discovered that striking the ground with the middle to inner portion of my foot did not put much pressure on my ITB. So, I just went with that gait/footstrike, even though in my mind, I knew that this would bring out the crooked form once again. Boy was I wrong. I ran a brisk 5k on the treadmill last night at 5:08 mpk. I started with my usual (conditioned through the years) footstrike – outer portion first. As I was facing the glass walls of the gym, I could easily see my form. I noticed that my right leg still had that crooked look to it as I was running. But my left leg looked normal enough. After a while, I felt some strain on my ITB so I went back to the middle to inner portion first foot strike that I used at the track last Thursday. Guess what? Watching myself in the glass wall, I noticed that my form improved drastically! What I thought would make that crooked look more pronounced actually straightened out my right leg! And the best part? Now I feel absolutely fine. No strain whatsoever on my ITB. Form and substance. Never leave home without it. OK, fine. I didn’t sign-up on the first day of the onsite registration. 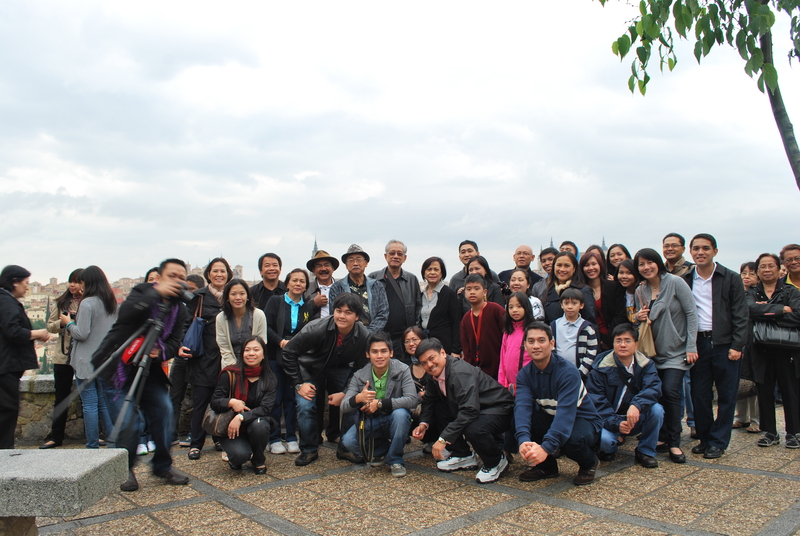 Was too busy yesterday, even for a short sidetrip to Greenbelt 3. But I was able to register today, and that’s what matters. 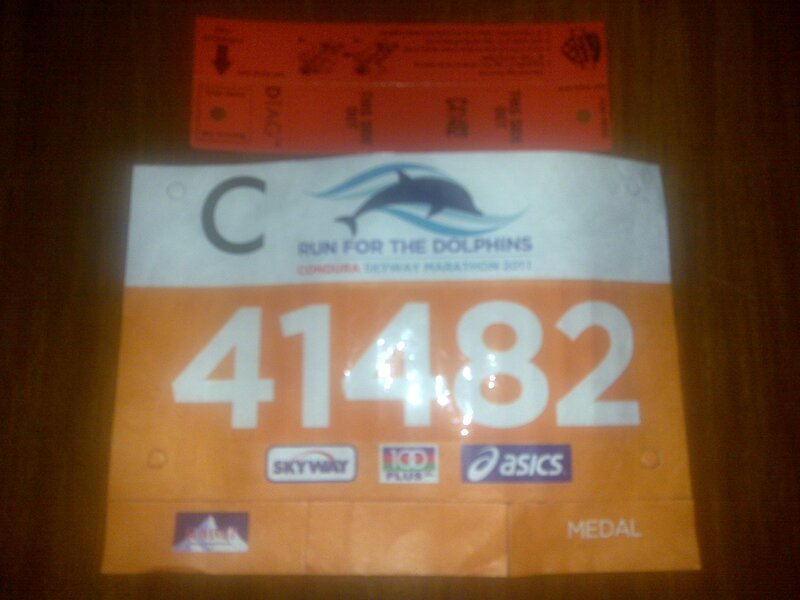 Got my race pack too. Woot! Now the hard part begins. Four weeks to get myself into tip-top, sub-1:45 shape. Hope my left knee holds up. See you at the starting line. 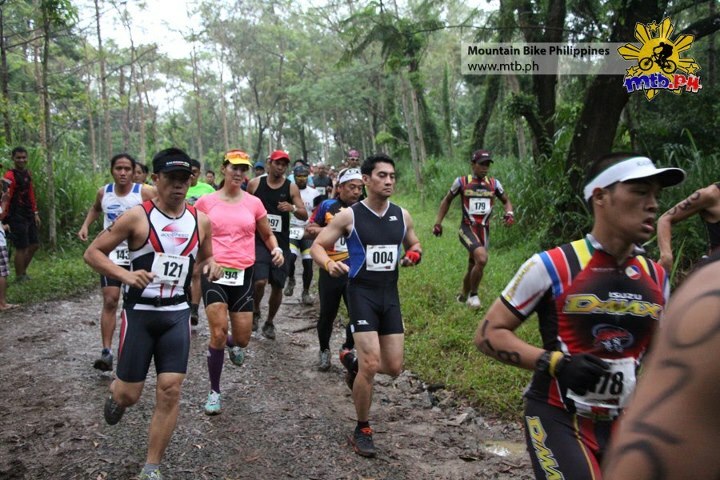 On Valentine’s Day, I received some rather disappointing news from my partner Peach Ledesma – that the registration for the Run United 21k was already closed. A quick visit to Coach Rio’s website confirmed this. Apparently, the 21k of Run United sold like hotcakes, thereby forcing the organizers to close the registration as early as the Friday before, February 11. I was kicking myself for not signing up early. If you are one of the four dedicated followers of this blog, you’d know why. For months, I had been anxiously waiting to exorcise my 21k demons and I thought that my long wait would finally come to an end at Run United. I got so excited by the prospect that I even joined the Condura 16k to simulate my half-marathon race pace for Run United. Not only that. 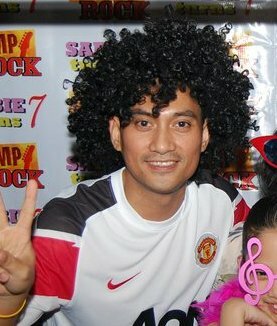 I ate, slept and breathed Run United such that I was beginning to look like Coach Rio. Nuff said. You can imagine how disappointed I was. Training for a race is difficult enough. But running purely for running’s sake is even more difficult. It can be such a chore. In fact, as of this writing, my mileage for the week is only 13.9 km. My beer consumption this week may be more than that. However, it seems that I won’t be slacking off for long. This morning, just after having a leisurely breakfast and taking a strong mug of coffee to nurse my hangover, I browsed my friend Edwin Soriano’s Runners’ Runner website and, to my delight, found out that the Globe Run for Home 2011 will be held on 27 March 2011 and, more importantly, it will feature a half-marathon. *Image taken from Globe Run for Home 2011 Facebook page. I haven’t joined the past editions of the Globe Run, but I heard that it’s a pretty good race. Registration will start on 21 February 2011 and I’ll be damned if I miss this one as well. This post is a bit delayed, but as the saying goes, “better late than never.” After all the negative things I had written about the registration booboo that saw me miss the boat for the 21k , I owe it to the organizers of the Condura Skyway Marathon to commend them for a job well done. After all, this is, by far, the best race I have participated in. As intimated in a previous post, I joined the 16k event for a host of reasons. However, I never did really explain why I decided to sign up only in the last few days of the registration period. The day that I signed up for the 16k event was the day that RunRio came out with the announcement that Run United will be held on 6 March 2011. I had been waiting anxiously for a good 21k race and I felt that Run United was it – the race that would finally banish my 21k demons. 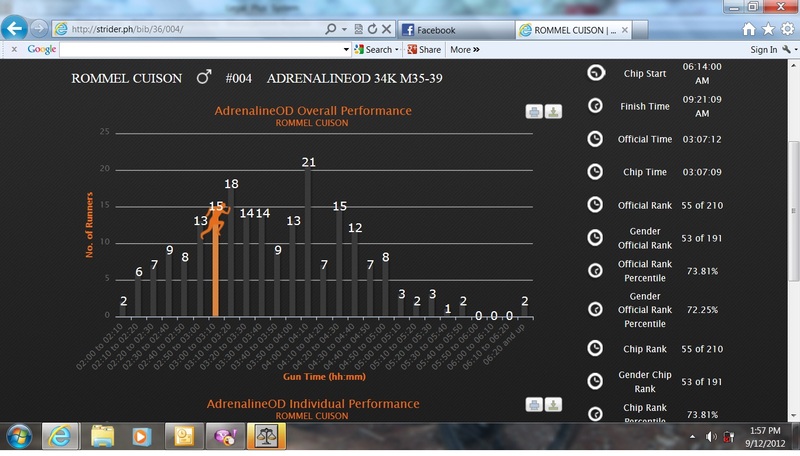 Thus, I signed up for the 16k event of the Condura to simulate my race pace for my 21k at Run United. So there you have it – the Condura 16k was meant to be a training run of sorts, nothing more. Little did I know that I’d get so much more out of it. Apart from the basics that you’d expect from a`good race – timing and distance accuracy, as well as adequate hydration – the Condura Skyway Marathon offered much more. 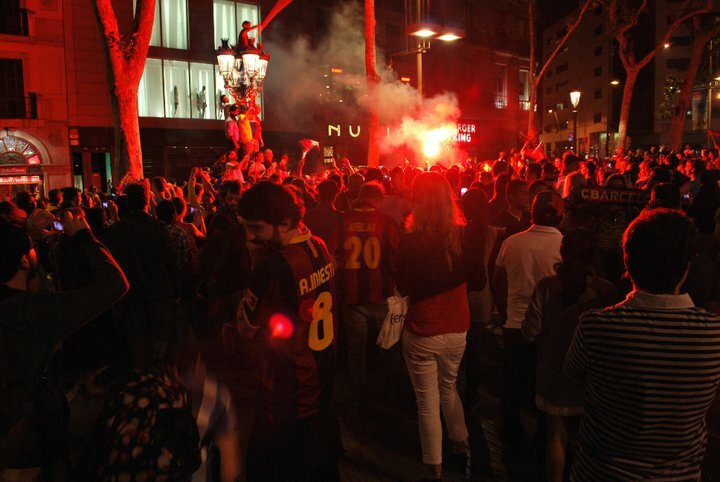 The race was very well-planned – down to the most minute of details. From gun start times, race routes, traffic flow, spacing of hydration stations, to the mobile generators that provided much-needed lighting in the wee hours of the morning, it seems that Condura left no stone unturned in making the Condura Skyway Marathon the premier running event in the country. I guess with a team like RunRio behind the event, working on a sizeable budget at that (the reg fees weren’t exactly spare change), such good things are to be expected. But for me, more than the perfect logistics, more than the exemplary handling of the event, more than the extraordinary fanfare, what made this race truly unforgettable was the way it brought out the best runner in me – that never say die attitude, that constant quest for excellence, which, in the vernacular is exemplified by the phrase “pwede pa,” as opposed to the mediocre “pwede na.” And for this, I pay tribute to runner # 41470, whose name I came to know as Straad Clement Abalde when the official results were finally released. Straad and I were both in Wave C, which started some 4 minutes after the first wave of 16k runners set off into the direction of Amorsolo. I didn’t see him until after kilometer 2, which was after we had already made our way to the Skyway. I made the mistake of going too fast on my first kilometer (4:30), so I took it slow on the second (5:28). Maybe the steep incline of the ramp leading to the Skyway contributed a number of seconds more to my 2nd k. By the time I reached the Skyway, I had already caught up with most of the Wave A and Wave B runners. Likewise, most of those in Wave C who foolishly started the race fast like I did were already nowhere to be seen. Then I saw Straad. After 10 more minutes, he was still there. Right there and then, I determined that Straad would make for a good pacer. I told myself that for as long as he did not stray too far from my race pace, I should not let him get out of my sight. 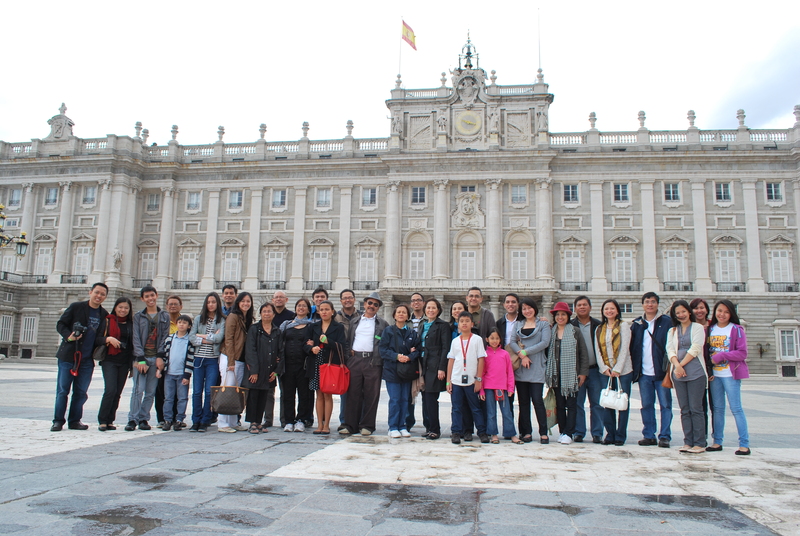 That's me in Blue; Straad's the one in white shirt and white shoes. True to form, Straad did not allow my lead to last long. As soon as we reached the cobblestoned portion, he made a move and overtook me once again. Just like in life, when you’ve gone a long way, feeling spent, it’s so easy to give up or just coast along. But sometimes, just sometimes, you click into a higher gear. In the last 70 meters, I launched into a sprint that saw me reclaim the lead for good. The end result – 1:23:13, which was good enough for 22nd place over-all. For recreational runners like me, this is what running’s all about. Why 16k? Hmmm, lemme see. Here are my top 10 answers. I am not blessed with fast-twitch muscles. Moreover, my 37 year-old knees might not appreciate being subjected to high impact forces over 3 km. Better reserve such runs for the track. Logic dictates that I stay away from short runs like the 3k. Spending almost a thousand bucks to run for 20 minutes didn’t seem like a good investment. I wouldn’t even be able to partake of any of the sports drinks that would surely fill the hydration stations. OK, I admit. I’m such a cheapskate. 🙂 So 5k was out of the question. I want a new PR. The Condura 10k route has to go through two steep ramps – first, the access ramp leading to the Skyway then, second, the Buendia flyover. Not exactly a PR-friendly race route. I sort of slacked off in my 21k training after I found out that the regular slots had been filled. Was not too confident that I’d be able to make up for it in a short span of time. Like I said in a previous post, nothing but a 1:45 will exorcise my 21k demons. Wouldn’t have run the FM anyway. 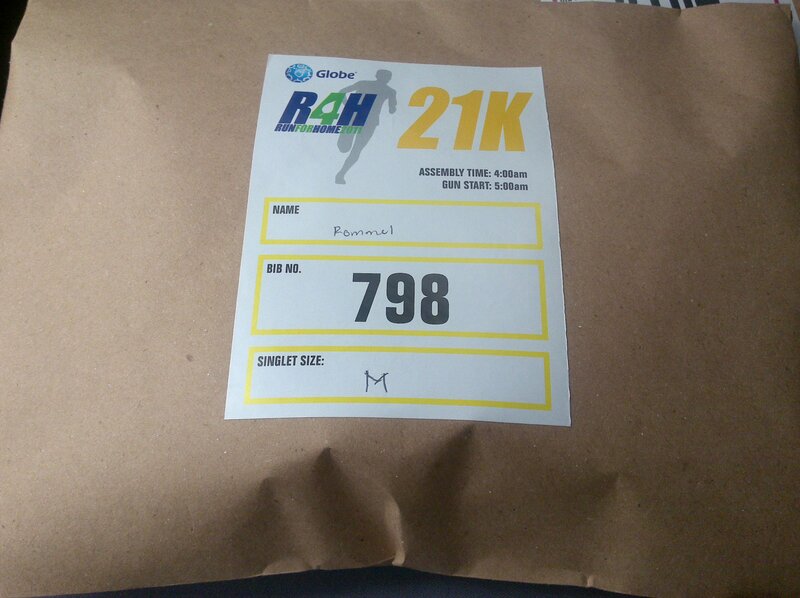 This will be my first time to race a 16k or 10-miler. It’s nice to try new things every now and then. After my failed attempt (yet again) at a sub-1:50 half-marathon at the 2nd QCIM (see previous article), I knew that my 3rd half-mary was going to be just around the corner. 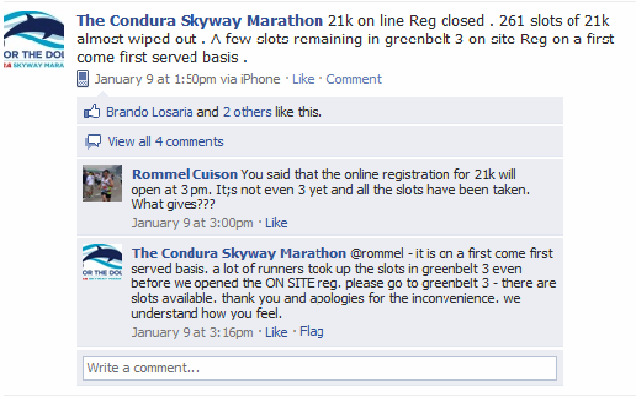 The 2011 Condura Skyway Marathon on February 6, 2011 seemed to be the obvious venue for my record-setting HM. For starters, the Condura Run is one of the biggest and most popular races in the country. Also, the timing was just perfect. It would afford me at least six weeks’ training to boost my chances of running a 1:45 HM (yup, I upped the ante). 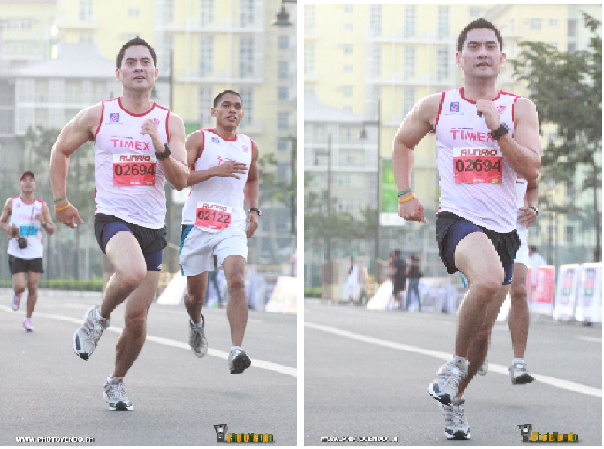 That Condura enlisted the services of Coach Rio for this race sealed the deal for me. 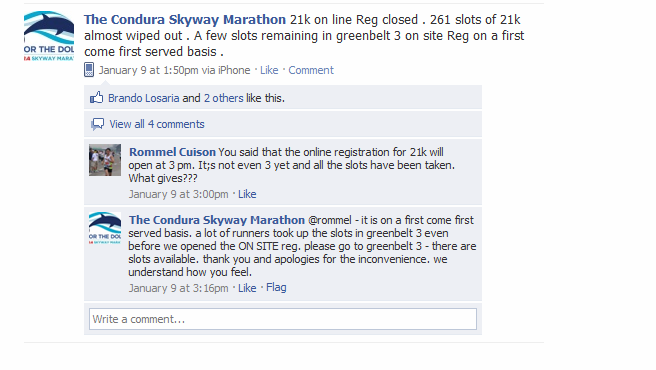 Unfortunately, due to my hectic December schedule, I wasn’t able to register for the Condura Run right away. I figured that I’d just register in the first week of January. After all, as advertised, the registration will close in the third week of January. The people I work with know that I have zero tolerance for idiocy. That comment totally spoiled my appetite to run for the dolphins. Maybe I’ll just mail my check to the environmental group concerned. Having said the foregoing, I must admit that there is still a part of me that wants to run the Condura. Lately, I’ve been doing my mile and 800m intervals, as well as my tempo runs, at paces that are far better than my pre-Century Tuna Run training paces. I feel that a 5k or 10k PR is in the offing. Moreover, I scoured the 2011 race calendar and I have yet to see a race that would come close to the Condura in terms of quality, prestige and popularity. Ergo, to Condura or not to Condura. That is the question. 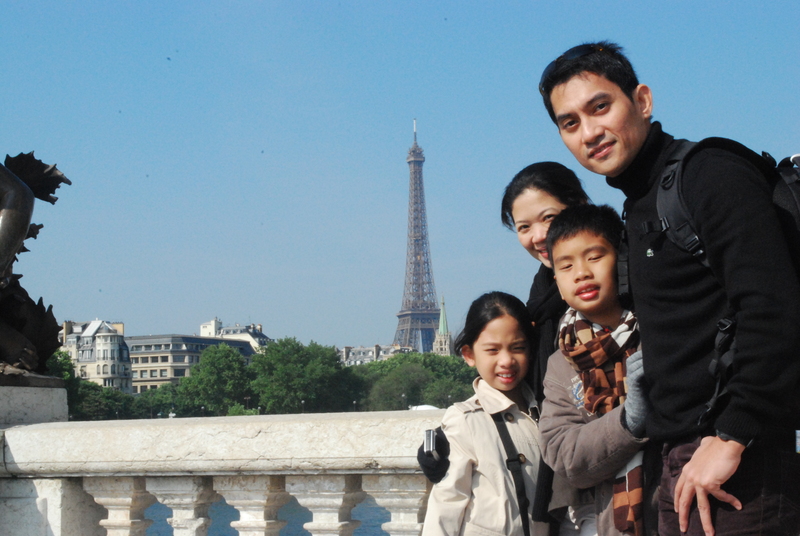 I started using a GPS device after my not-so-good performance at the PhilStar Celebrity Run in December 2009. 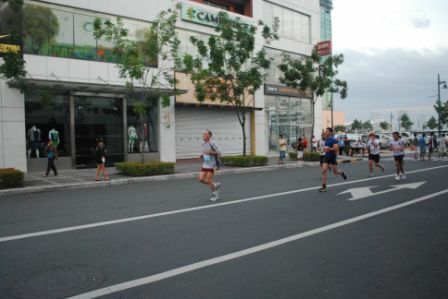 I ran the 5k event with my brah who was then vacationing in Manila. 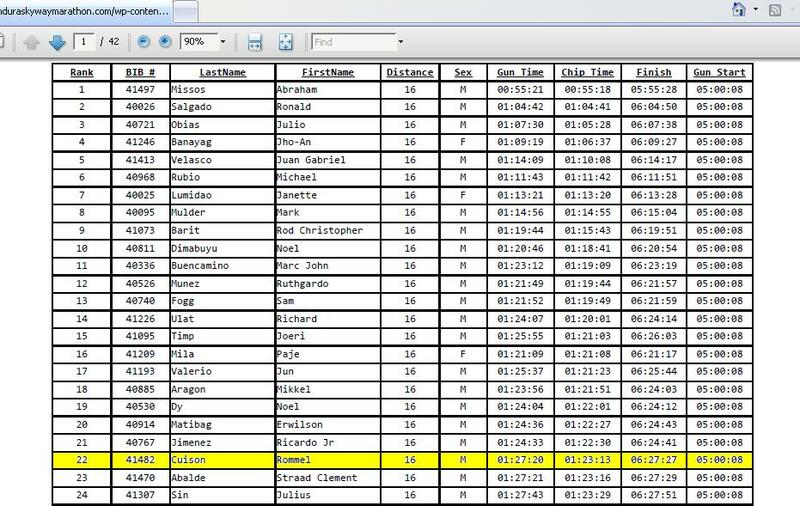 As was the case in almost all the races that I join, the goal was to set a new PR, in my case, a sub-22:40. I wasn’t that well-prepared for the race. My training was so-so and I didn’t even scout the race route. Without a GPS device, I’d be running purely by feel. Although my brah had a Garmin 310XT, I determined early on that I couldn’t use him as a pacer because, according to him, his race pace would be 1:40 per 400m. When the race started, we went our own separate ways. All along, I thought he was ahead of me so I just focused on my own pace. But a few minutes into the race, he appeared from behind me, telling me that I was going too fast. Since I figured that he was doing 1:40 per 400m, I slowed down a bit to make sure that I’d be able to finish strong. Unfortunately, with nothing to go by to calculate my pace, I went far below my target race pace. I realized this when I hit 22 minutes and saw that the finish line was still a long ways off. I finished in 24:24, but the real downer was that my brah finished in 23:00. Had I known that his finish time would be within my range I would have run alongside him (okay, you can lower your eyebrows now brah). Anyway, according to him, the course was long by a couple of hundred meters. That same evening, I had dinner with some friends at Serendra. Before going home, I browsed the shops along BHS and, lo and behold, I saw that there was a GPS watch for sale. It was a Timex Ironman GPS with Bodylink. According to the lady at the counter, that day was the last of their 3-day sale. Without thinking twice, I got myself the watch and have been training with it ever since, well, until last month, that is. 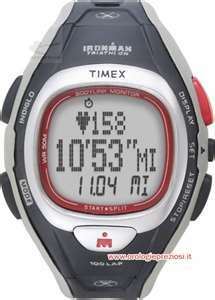 I love the Timex Ironman, but there were two things about it that, to me, could be improved. First is the fact that its GPS device is not built into the watch. It could be cumbersome at times. In fact, during my 2010 KOTR, the GPS device almost fell off after the strap loosened up. 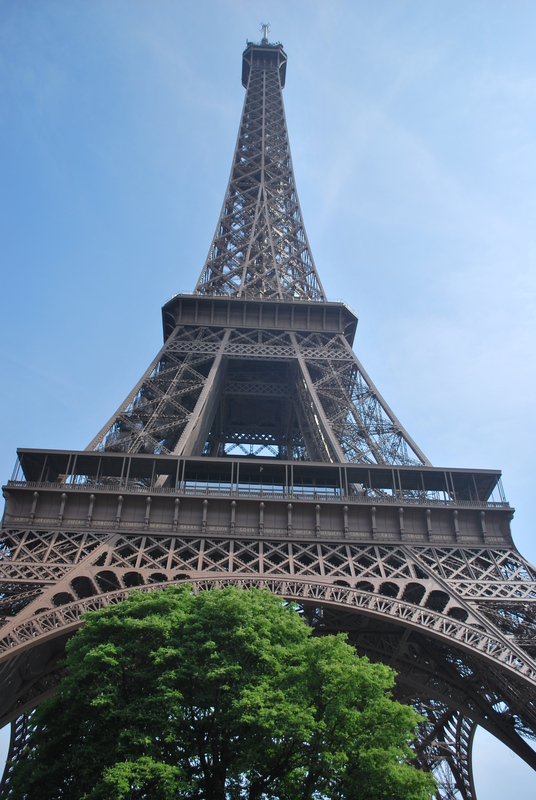 The second flaw lies in its GPS signal receiver – it goes haywire whenever there are tall buildings around. Hence, it’s not of much use whenever you’re in the CBD of Makati. 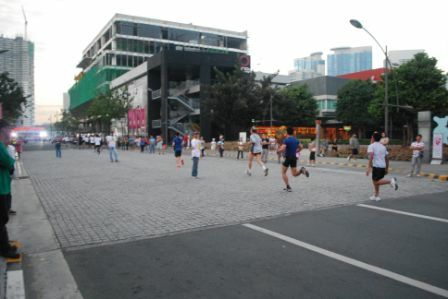 Thus, whenever a race route has to go through Buendia, I’d have to run purely by feel. Since my Timex was turning a year old, I decided that it was time to get a replacement. I didn’t want to get anything uber high tech or flashy, I just wanted something that would address the two aforementioned concerns. Not wanting to make a repeat of my Timex impulse-buy, I researched my next purchase this time around. After checking out the available GPS units, I decided to get the Garmin Forerunner 110. Our firm was going to hold its partners’ meeting in Singapore in late December so I figured that I’d wait a couple of weeks and just get my Garmin at the Sim Lim Square, which is known for good bargains on electronic equipment. 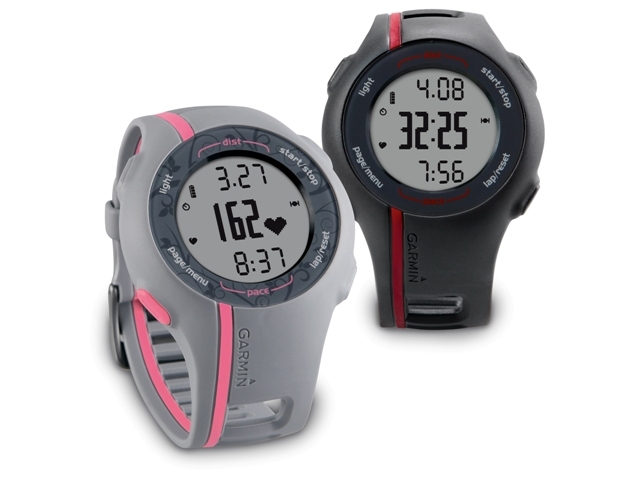 It was a good call as I was able to get my Garmin FR 110 at about 4,500 bucks cheaper than distributors’ prices here in Manila. In fact, It was almost half the price of my Timex Ironman. 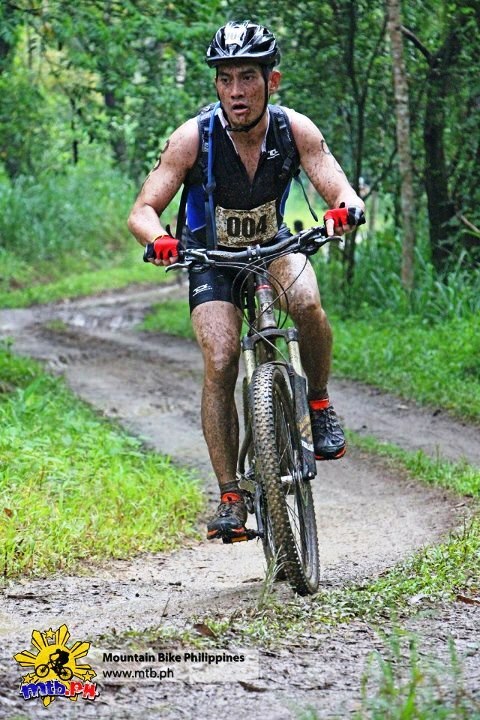 The same afternoon I got my Garmin, I took it for a spin at the Bedok Reservoir with my Brah. The Bedok Reservoir boasts of a 4.5k scenic loop that is popular with SG runners. Of course, a photo op before the run was in order. At the Bedok Reservoir with my brah and my nephew, before our tempo run. We were supposed to do a 9k tempo at 5mpk. As my heartrate was higher than usual, I stopped at 5k, while Brah went on another loop to complete his 9k. The Garmin FR 110 performed quite well. It is lightweight, easy to use and has a sensitive GPS receiver. That it looks like an ordinary sports watch greatly appealed to me as well (as with the Timex Ironman). The beauty of the Garmin FR 110 lies in its simplicity. Just press the start button, do your run and press the stop button as soon as you finish. Clicking on the reset button will automatically save your workout (It can save up to 110 workouts). You can view a summary of your workout or any past workout for that matter by accessing the history menu. However, the summary will only show you the distance of your run, the total time, average pace, average heartarte and the amount of calories burned. If you want to access more details about your workout such as split times, elevation changes, etc., you’d have to upload your data to GarminConnect first and view it from there. 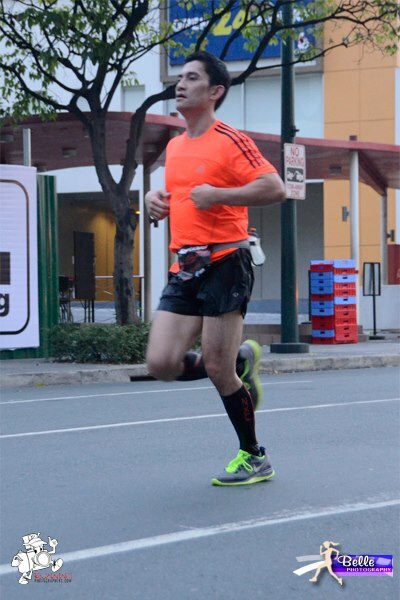 All in all, I’d recommend the Garmin FR 110 to any runner who’d be happy with the basics – a good GPS receiver (by the way, I’ve tested it in Makati CBD and it works! ), heart rate monitor and good looks (it actually looks like a watch). I guarantee that you’d get your money’s worth.